Hello everyone! 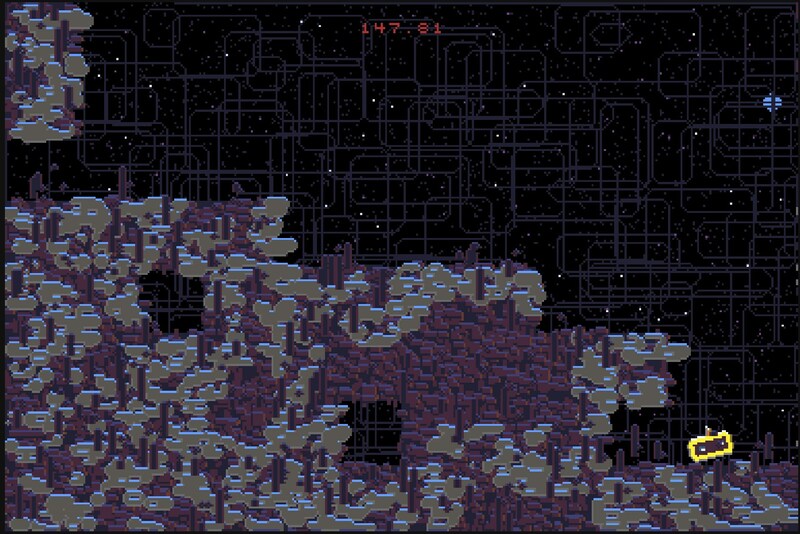 Last week I finished my #js13k entry, Greeble. I'd love it if you guys could give it a play and let me know what you think. after sometimes i guess i have to reload the game. i repeat the test, same. But I'm stuck... I can move faster, destroy the walls and even fly... But what now, is there some logic ending that I can't find or it's just finished this way? @totor : There should be pop-up messages under the countdown explaining the controls? You're supposed to hop/roll left or right to find fuel keep yourself alive, until you find another body part. If it goes game-over almost immediately after being dropped, that may be a bug? I'll investigate. As for the loader not having a progress bar, you're right my bad. But what it's actually doing is rendering music to a buffer, and that time varies wildly from machine to machine, with no good way to get the percentage complete, at least with the tiny synth library I used here. Thanks for checking it out! @Nagval333 : nope, no real ending. There's a shoutout and credits hidden in several screens, but if you can fly you've seen almost the entire game. It's admittedly lacking content, I ran out of time and bytes, as this is for the 13k competition. @Rybar, congrats for js13k2017!!!! i rechecked your game yesterday after the publishing of the results and found that this time it worked and i found the problem (on my computer at least) : at the beginning sometimes you get stuck in the pile of debris and you can't move right to roll to the next screen and find fuel hence game over. I eventually jumped out the garbage and reach the same fate as @Nagval333 plus i can almost endlessly fall through dozens of empty screens. i was kinda lost on what to do at the begining but when i understood, i found it's a good concept that can be pushed far and become aswome with procedural/rogue like levels, a lot of diffrents random body parts. colisions with fuels do not happen some times.